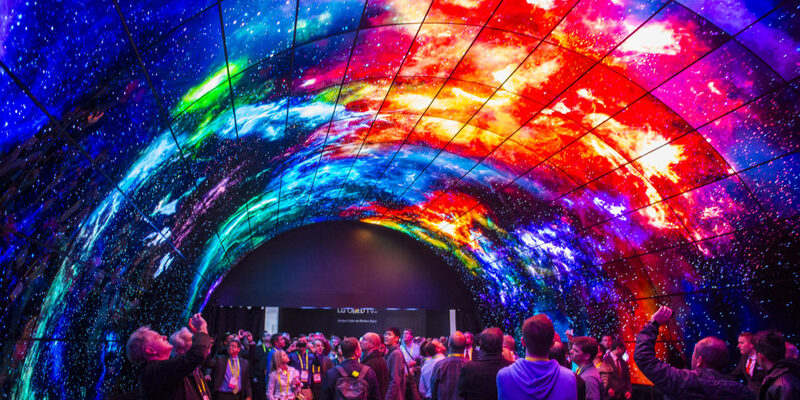 Each January the tech world descends upon the illuminated streets of Las Vegas for CES, the Consumer Electronics Show. The world’s largest technology show, it boasts more than 4,500 exhibiting companies and more than 180,000 attendees from 150 countries. The whole world is watching and looking for the next big thing. I was fortunate to be in attendance for the 2019 edition—the event is not open to the public—and was blown away by the innovative products headed our way. Of course, the 8K and bendable televisions were amazing. Yes, the new connected technologies in the auto industry are going to change our lives. But the category where I saw some of the most interesting innovation was wellness. Brands such as Fitbit and Peloton are some of the big players in the space, but I scoured Eureka Village (the area of the show specifically for start-ups and university innovation) and found some awesome start-ups that have taken their own spin on the category. Here are three companies looking to disrupt the wellness space and become the next breakout tech company. The yoga industry has seen massive growth in the past two decades. Studios are opening in every corner of the country; nearly every brewery in the Charlotte metro area where I live also offers classes. Sankar Dasiga and the team at Wellnesys are looking to take advantage of the trend with their new connected yoga mat called the YogiFi, a smart yoga mat with sensors embedded inside to track the user’s asanas (poses). It can be trained by a yoga instructor, and students can then practice from their home at any time. It also integrates with third-party wearable devices such as the Apple Watch and Fitbit. Dasiga is a yoga instructor who noticed some drawbacks to teaching the classes live. The YogiFi is available for pre-order from yogifi.io and will ship this summer. New York may be the city that never sleeps, but the droopy eyes I saw at the close of CES 2019 prove that Vegas is also a town of insomnia. Fortunately, sleep tech was a big trend at CES. My favorite sleep device was the Somnox sleep robot. The kidney bean-shaped device, created by a team from the Netherlands, features patented technology that allows the pillow to create pulses to pace the user’s breathing. This facilitates relaxation and allows the user to fall asleep quickly. Somnox also has a speaker to play ambient noise, or your favorite relaxing tune. The ergonomic shape of the device was designed to keep sleepers in natural sleeping positions during the night. The device started as an academic project at the Delft University of Technology. Inventor Julian Martijn Jagtenberg’s mother was having sleep problems. He and his partners researched sleep patterns and techniques that help people sleep better. They found that breathing pace is crucial to good sleep and took to building a bot that could help. It was difficult to create a device that was soft and quiet enough to sleep with and still provide effective pulses to pace a user’s breathing. 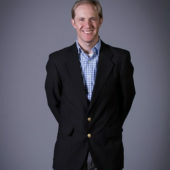 But after three years of development, the Somnox will be available to consumers in March for $550 from meetsomnox.com. Health and wellness products at CES were not limited to those for humans. The most unique of the bunch was The Little Cat exercise wheel. The large wheel has a soft running ring with a circumference of LED lights in the middle of the walking track. The LEDs light up on the ring, and the cat chases the light to get the wheel moving. The device is powered by an app with a Bluetooth connection. Users can set how high up the wall the LED chaser lights are shown (higher to get the cats to move faster). The device is large and takes up a good amount of floor space, but it has been proven to shed up to 6 lbs. from overweight felines. Inventor Daeyong Kim designed and developed the device in Korea. He had a cat that died from health issues related to feline obesity and did not want to go through that again. Exhibiting at CES was a crucial part of the team’s marketing strategy. “We got into CES with help from the incubator at Hanseo University. … We got a lot of feedback from customers and saw the potential in the market,” he says. The device will be available in the United States toward the end of this year and will cost approximately $1,800.